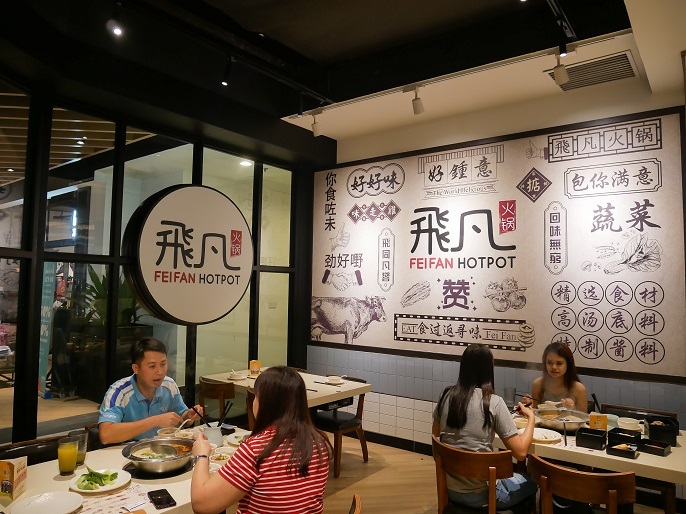 Fei Fan Hotpot飞凡火锅 is located at the centre of Subang, SS15 Courtyard Mall. 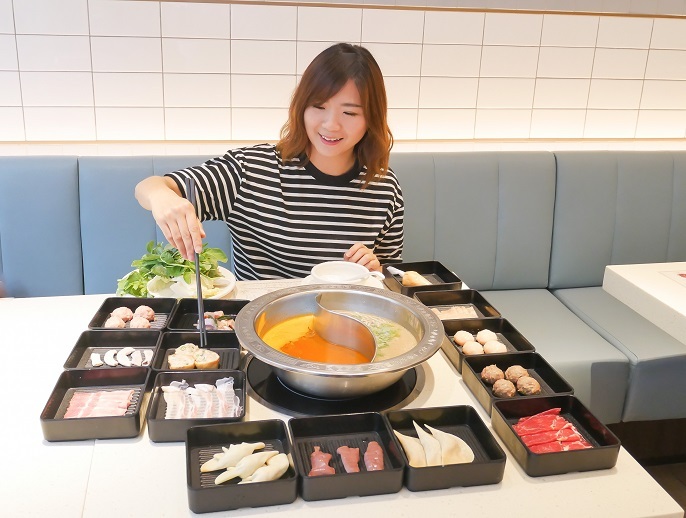 It's an authentic "All-You-Can-Eat" buffet hotpot style that brought all the way from Hong Kong. 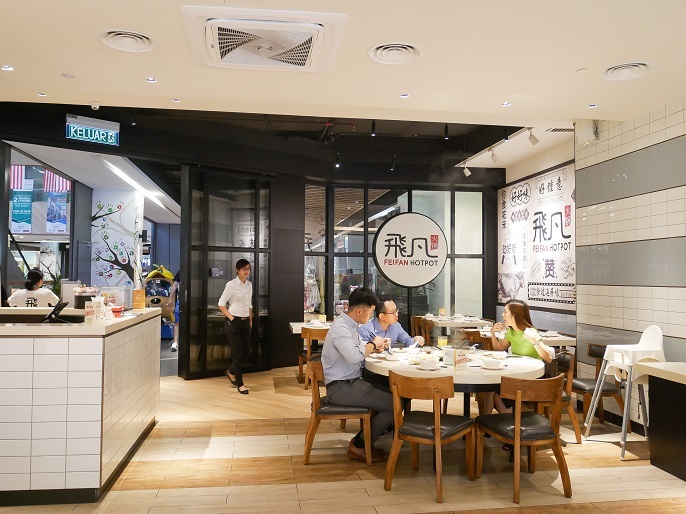 Fei Fan Hotpot aims to deliver only the most flavourful tastes at an enjoyable environment yet with affordable price. 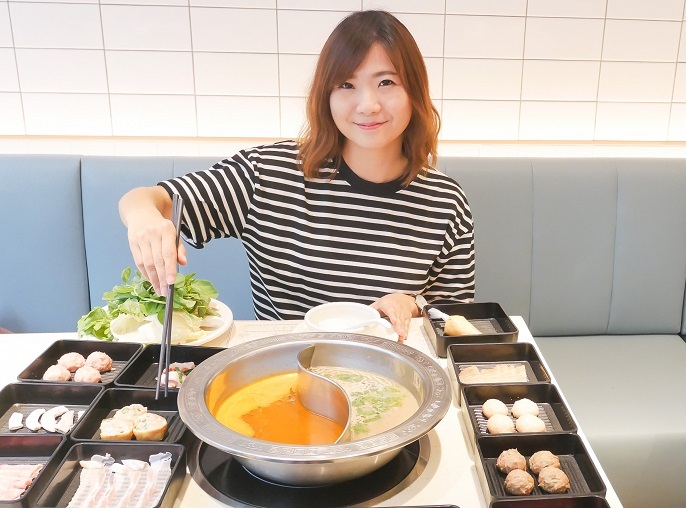 It's an absolute must for all steamboat or hotpot lovers! 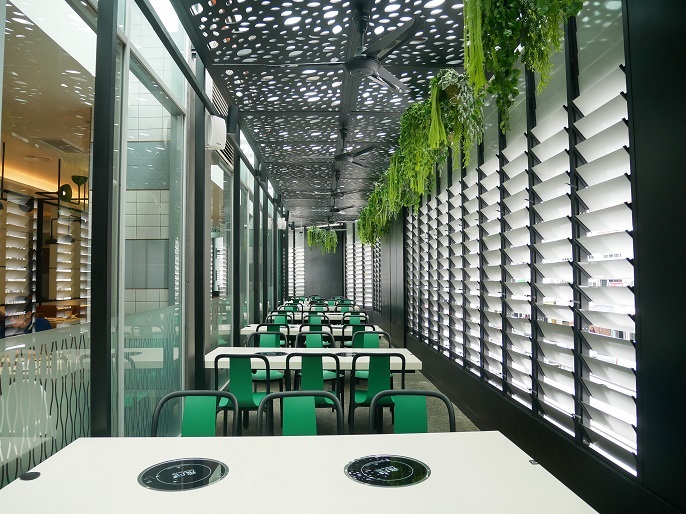 The entire interior is inviting, clean, and spacious. 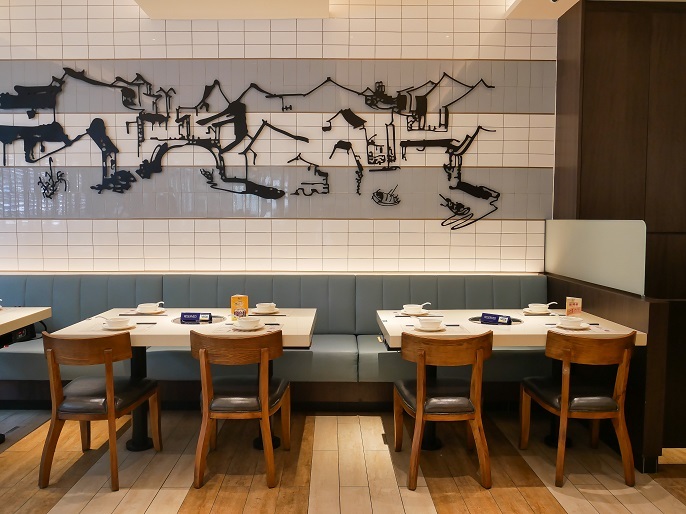 I really like how they designed the dining place to look similar like the Hong Kong Char Chan Teng style, especially the seating booths that give the place a very vintage Hong Kong feel. 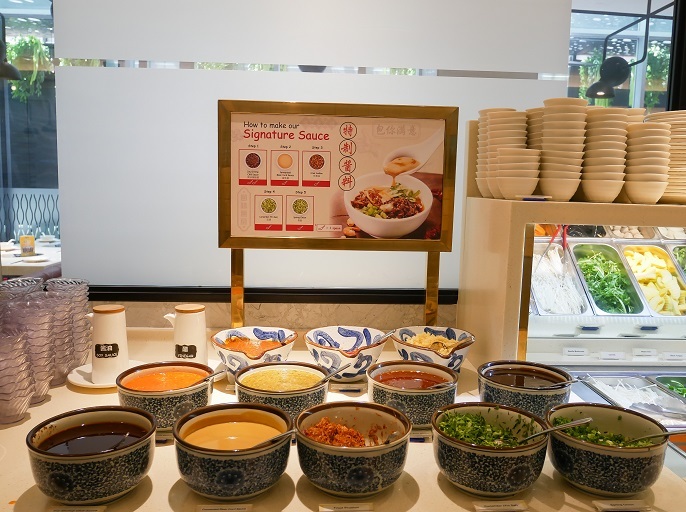 There are total 4 different choices for their soup, include tomato, pork bone, spicy mala and pepper pig's stomach soup. All the soup bases are made of pork bones and cooked for more than six hours. 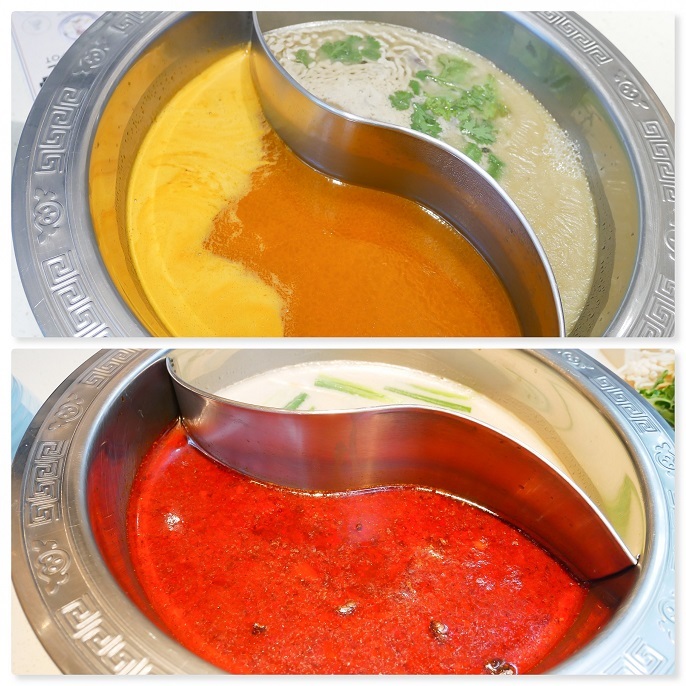 You can choose up to 2 soups for your meal, and I like the pork bone and spicy mala the most! 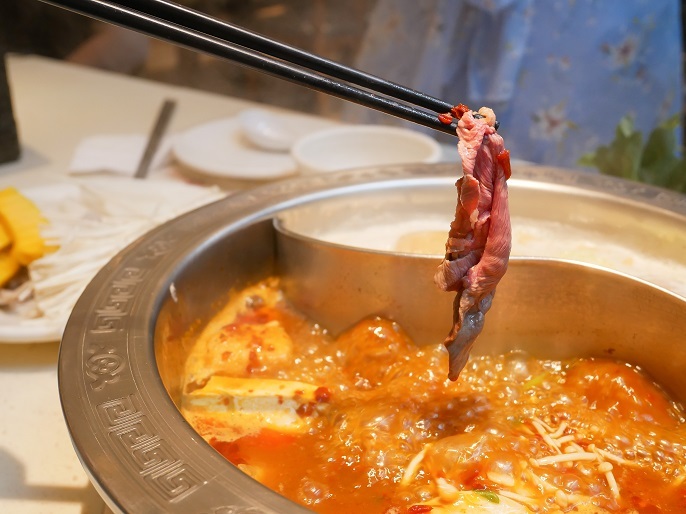 The pork bone soup was excellent with very natural sweet taste, and the spicy mala soup taste is relatively different with the other Chinese restaurants. It has a distinctive flavour with mild spicy hot taste that I think it's pretty appropriate for Malaysian's taste buds. Anyway, the soups didn't make me feel dry of thirsty after the meal. 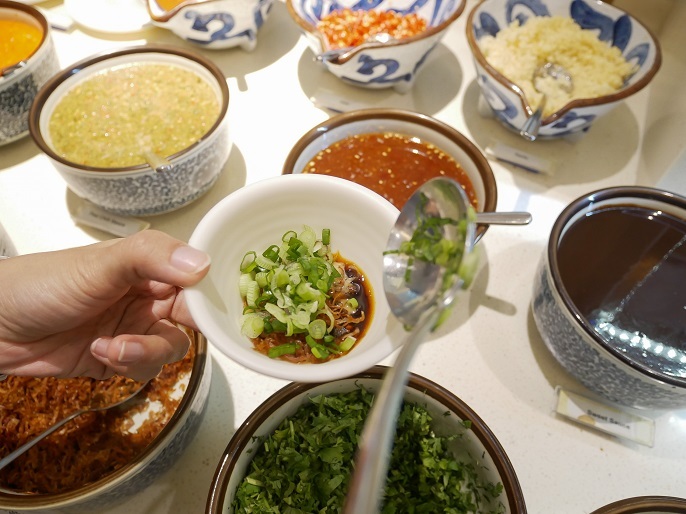 Hotpot will not be completed without any sauces. 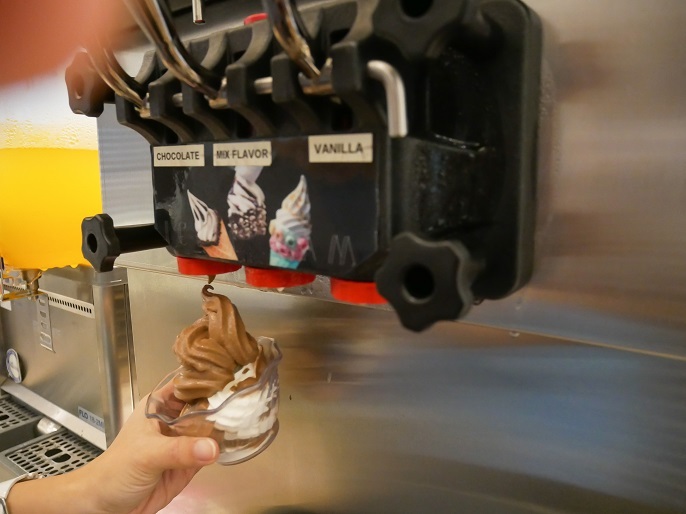 You are feel free to get creative and customize your own dipping sauce with their 12 different selections on the table. I'm not very good in making a good sauce, so I rather made the signature Fei Fan sauce according to the picture they showed at the section there. I always love vegetables with my hotpot. 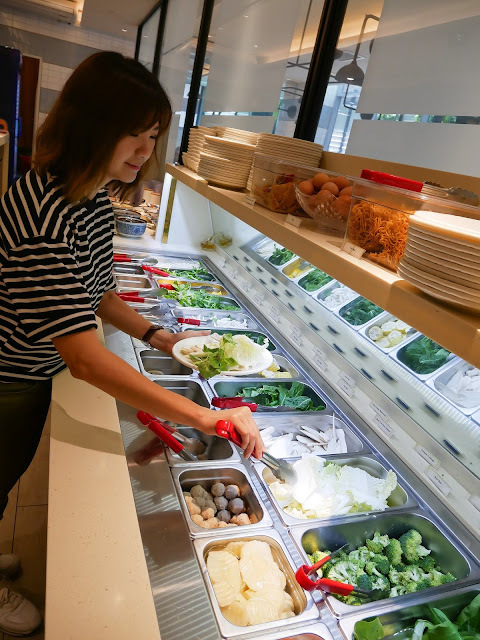 The wide-ranging vegetable bar features a variety of vegetables to help balance off the whole meal. 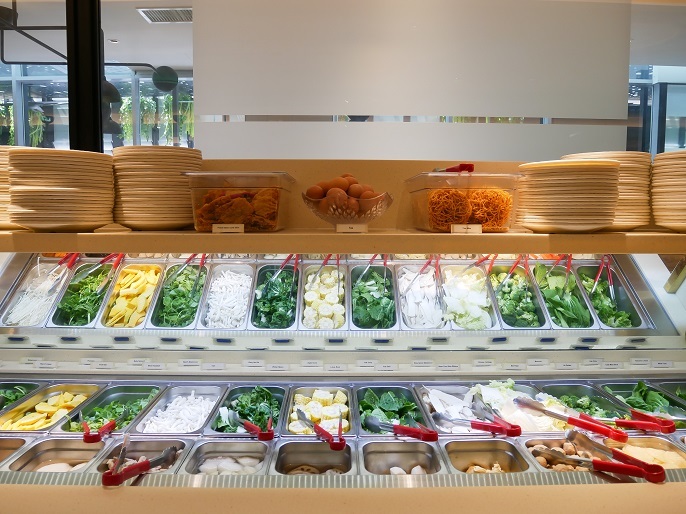 From vegetables, carrots, beancurd, crab stick, pork balls, potatoes, enoki mushroom, pumpkin, button mushroom, meat balls, black Chinese fungus, dried yellow tofu skin to lotus slice etc. 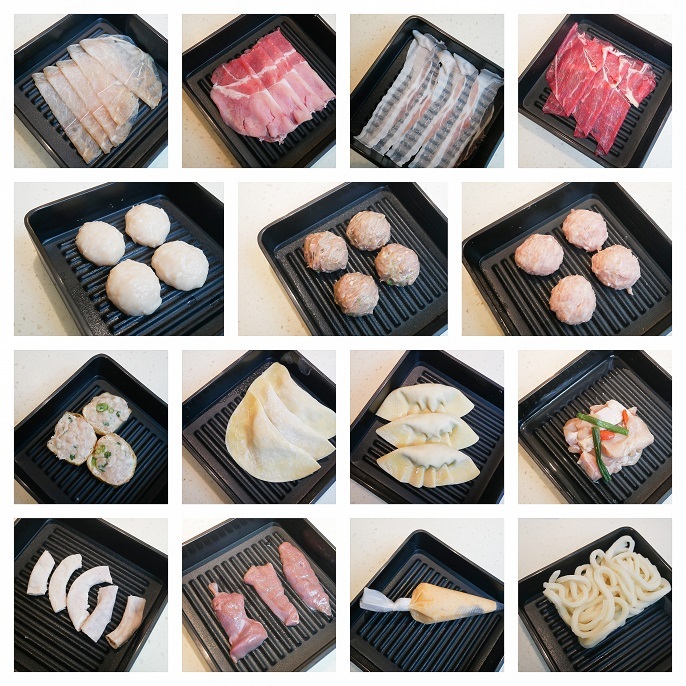 For the main course of the hotpot, there goes to the wide selection of freshly homemade meatballs, meats and other ingredients, such as pork ball, chicken ball, beef ball, fish noodle, shrimp dumpling, chives dumpling, tau foo pok with pork meat, pork collar / shoulder, pork belly, pork intestine, pork liver, beef slices, chicken slices, and chicken with rice wine. 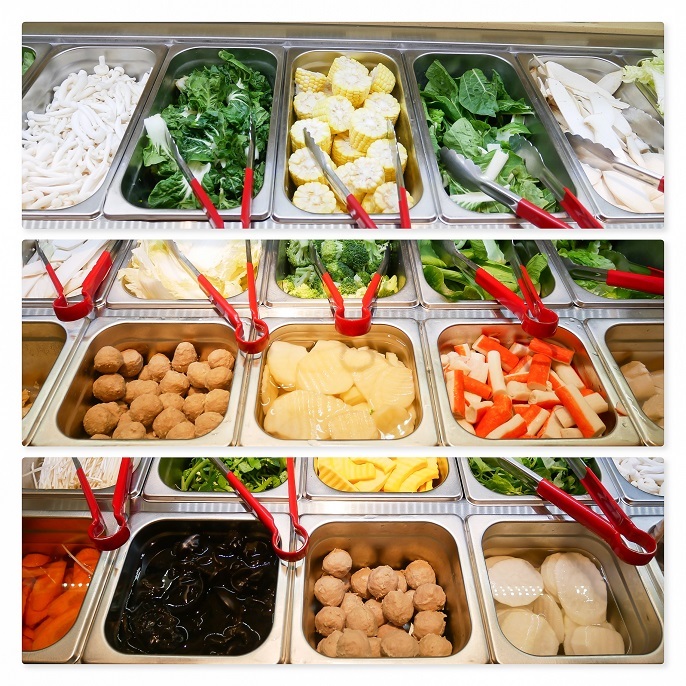 All these ingredients are prepared everyday to maintain it's freshness and originality. I would recommend to try their chicken with rice wine, dumplings and their handmade meat balls! Oh! 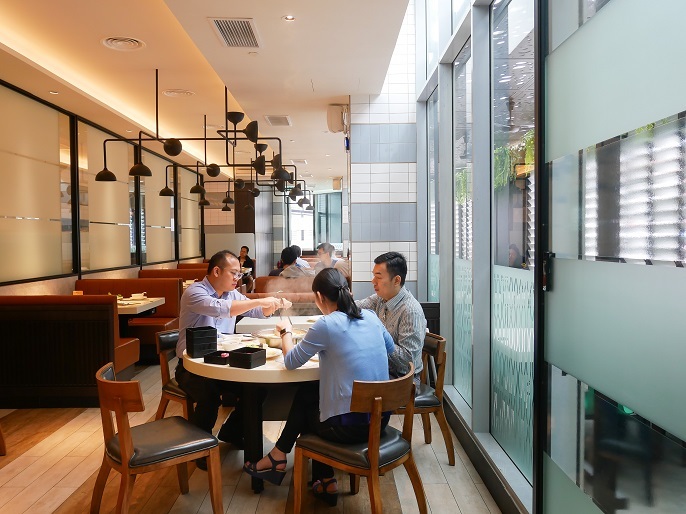 do not forget to mention their specially-made udon noodles! It's a must try at the restaurant because the udon is all handmade by their chef. 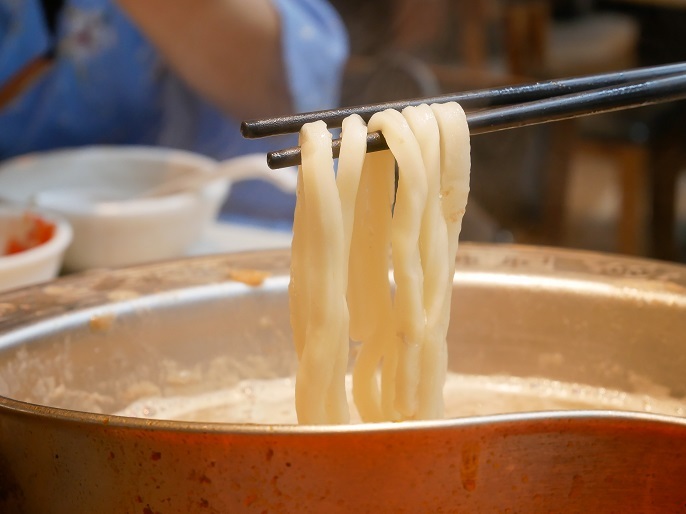 You will surely taste how different the udon is compare to the other restaurants. For me, I find it tastes like the Mee Hoon Kueh (Chinese flat noodle) that my mum made. It was not too soft, but very chewy texture, where I still can taste the flourly taste inside my mouth. 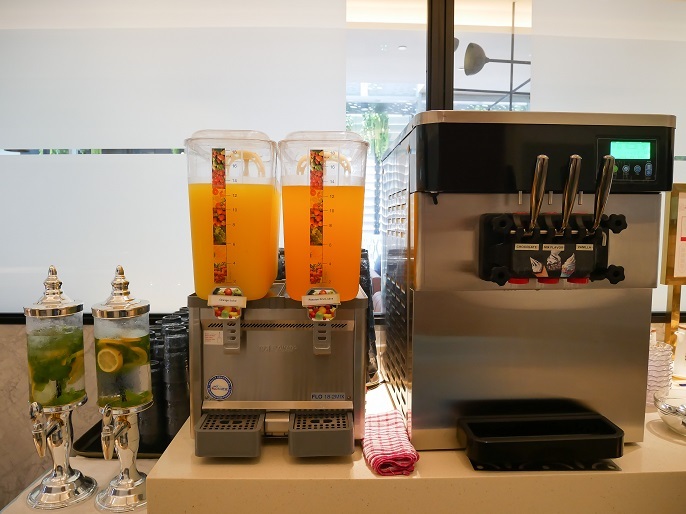 The hotpot buffet also comes with refillable drinks such as orange juice, mango juice and ice water, and also ice-cream in two flavours of chocolate and vanilla. Lunch for weekday and weekend, from 11am - 5pm @ RM35.90++. Dinner for weekday and weekend, from 5pm - 11pm @ RM45.90++. Children will get 50% off. Students are entitled for 20% off from the total bill. There is also a free buffet for birthday guests, with minimum 3 paying adults. 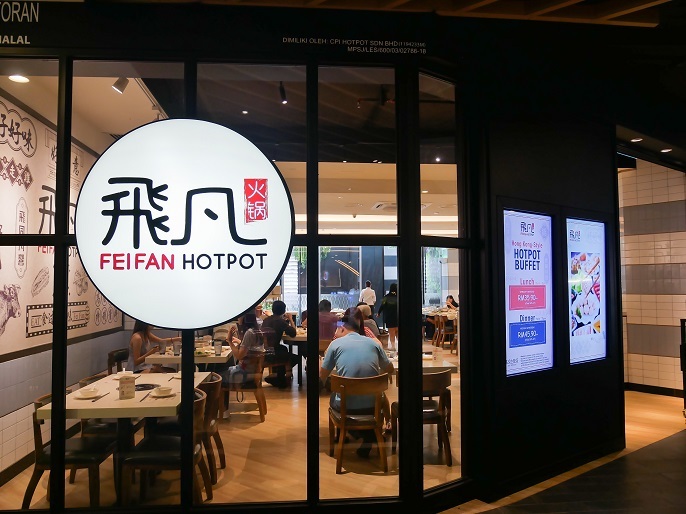 All in all, Fei Fan Hotpot is definitely a good place to enjoy hotpot together with your family and friends. 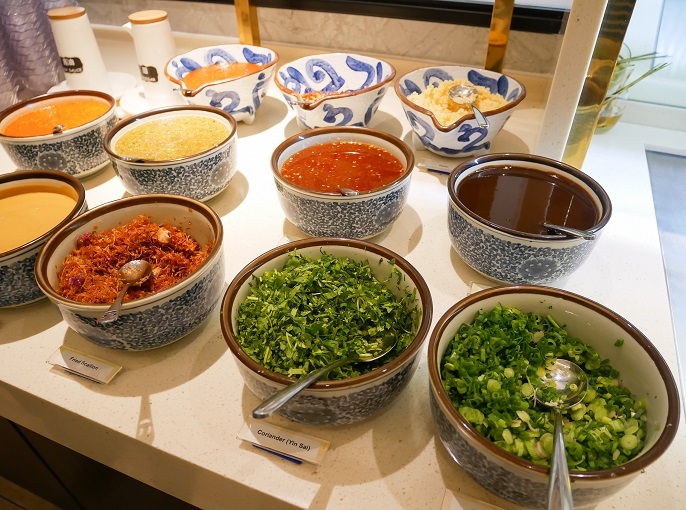 It's value for money with the high quality and wide selection of ingredients and soup bases. 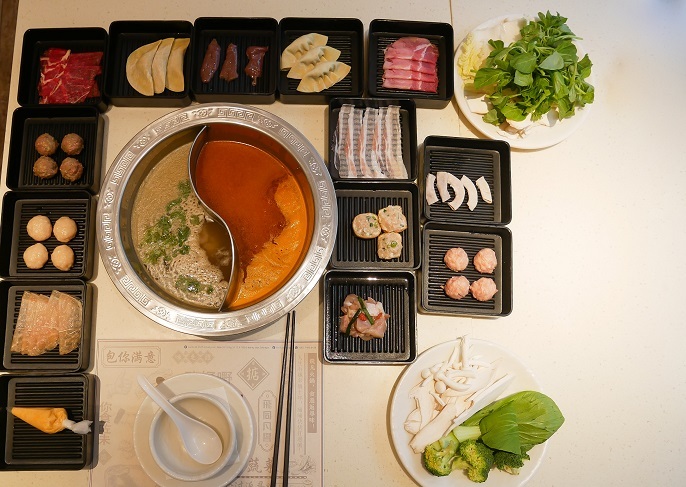 It's really a good choice for all the hotpot lovers out there!